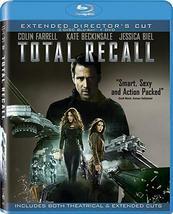 Director Paul Verhoeven and star Arnold Schwarzenegger have their own ideas about what's really going on in Total Recall, and offer an entertaining commentary track on Artisan's special limited edition. They make their case, to the glee of conspiracy buffs, by pointing out every clue and discussing every twist in perspective. 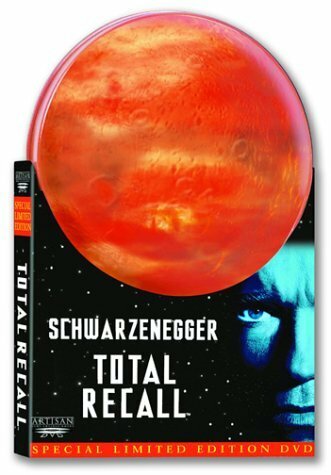 The original documentary featurette "Imagining Total Recall" crams dozens of interviews into a tight, if brief, 30-minute program covering the entire production history, and "Visions of Mars" is a too-brief six-minute piece on the real red planet. Along with the galleries of storyboards and conceptual art and production stills are the complete "Rekall Virtual Vacation" clips glimpsed early in the film. The collector's metal "Mars" case is a fancy tobacco tin with a cratered surface, not particularly practical but a great display piece.